Pristine Lake Oconee lies 75 miles east of Atlanta. It is 19,000 acres with 375 miles of shoreline offering opportunities of boating, fishing and many water sports for visitors and locals to enjoy. Lake Oconee was originally constructed in 1979 by the Georgia Power Company to generate hydroelectric power via the Wallace Dam. Georgia Power prohibits the use of boats with galley, sleeping or marine toliets on Lake Oconee, ensuring the environmental saftey of the waters. 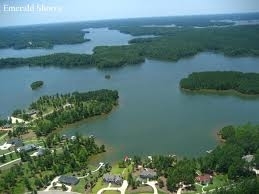 Beautiful Lake Oconee features 1,500 acres of recreational areas and wildlife preserves. 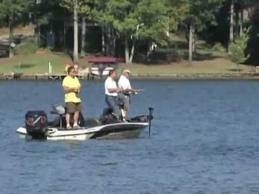 As one of Georgia's best lakes for fishing, Lake Oconee has 350 pounds of fish per acre. Lake Oconee is Georgia's second largest lake fast becoming a popular escape for visitors and new community members. 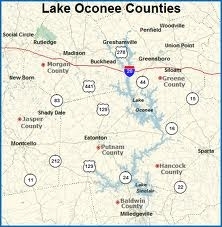 Greene, Putnam and Morgan counties serve as the boundaries for Lake Oconee.